While moving to a new home is exciting, it can also be stressful for your family members – including pets. Here are a few suggestions to make your move easier for your furry friends. Plan ahead. Pack up your pet’s belongings – toys, water dish, food, litter box, bed — separately and take them in your car, so you’re not waiting on the moving truck to reassure your pet with familiar items. Avoid moving day chaos. Pets may get more stressed and have more opportunities to get loose during the commotion of a move. Consider having your pet stay with friends or a pet watching service until the atmosphere is quieter. Get new pet tags or update chips. Well before moving day, purchase new tags with your pet’s new address and phone number. If your pet has a microchip, contact the provider and have your pet’s ID info updated in their database. Be security conscious. The first few days in a new home can make even a laid-back pet uneasy. Make sure your pet’s collar fits securely and consider keeping them on a leash the first few times you go outside. Inspect your house and yard for openings a pet can crawl into or other hazards before letting them explore. Stick to their routine. After moving in, try to stick to your pet’s daily routine as closely as possible by feeding, playing and walking them at the same times as you did in the previous home. This consistency will help pets adjust quickly. The Canadian real estate market is looking to be active in 2019, with both national sales and prices on the rebound, according to the latest industry forecasts. The Canadian Real Estate Association (CREA) updated its 2019 national MLS® sales forecast on September 15th. The latest CREA forecast predicts that national MLS® sales activity will rebound 2.1% next year to 472,000 units, despite expected interest rate increases. The national average price is also forecast to rebound, increasing by 2.7% in 2019 to $508,400, says CREA. Of course, this is just ‘the big picture’ on the national front. Home prices can vary dramatically between markets, within neighbourhoods and even on the same street. For a more detailed look at home sale activity and resale prices in your area, contact your local Coldwell Banker real estate professional. With a nip in the air, it’s a sure sign that Halloween is just around the corner. Here are a few tips to help keep your kids safe and ensure the safety of other trick or treaters visiting your property. Clear the decks. Make sure your doorway is well lit and your walkway is clear of obstructions. Your visitors could be wearing masks that make seeing difficult. Be Fire Safe. Candles are a major cause of house fires. Ensure that jack-o-lanterns and lit decorations are placed away from foot traffic and not left unattended. Choose the right costume. While your child will only be focused on how it looks, you need to ensure their costume isn’t too long or restricts easy movement. Try it before you buy it. Masks should allow a clear field of vision.Ensure that masks allow a clear field of vision in both directions, or consider using face make-up instead. Plan the route and stay the course. If your children are going out on their own, make sure they advise you what route they’ll be taking and stick to that plan. Encourage them to pre-arrange to travel in a group. Add a lighted accessory to your child’s costume. Most costume or novelty stores sell Halloween flashlights, magic wands or lighted treat bags. Stick-on reflective strips or tape applied to shoes and clothing will help your little ones be seen on a dark street. With a little planning and some advance preparation, you and your family can enjoy a happy – and safe – Halloween. 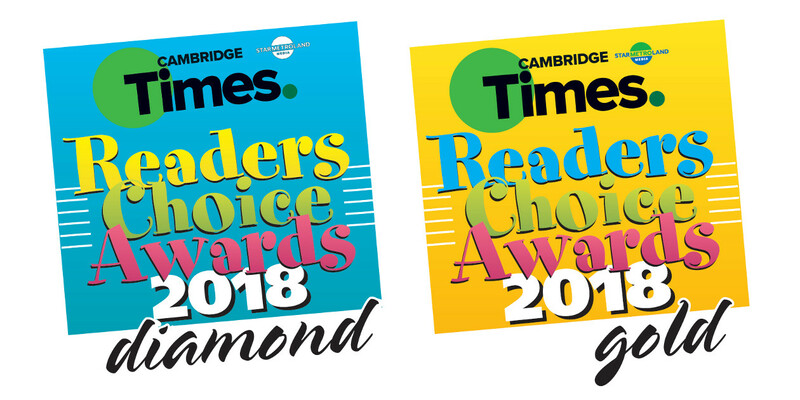 Previous PostCast your Vote – 2018 Cambridge Times Readers Choice AwardsNext PostHappy Anniversary Coldwell Banker Gary Baverstock Realty! !